Bullhorn, the global leader in recruiting software, today announced that veteran technology executive Justin Teague has joined the company as Chief Operating Officer. Teague was most recently divisional vice president and general manager for product lifecycle management (PLM) powerhouse Parametric Technology Corporation (PTC), where he led the $600 million mechanical engineering global business unit through a surge of $100 million in revenue growth. At Bullhorn, Teague directs all customer-facing departments, including professional services, customer services and support, and sales. 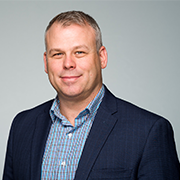 Teague will bring a combination of extensive sales experience, operations improvement and global go-to-market expertise to his work in ensuring Bullhorn’s customer success initiatives. Having driven growth strategies globally within several business units at PTC, Teague will also focus on fueling Bullhorn’s continued expansion into Europe and Asia. Teague spent the last fourteen years at PTC in a variety of leadership roles. Continually overachieving in terms of profit margin and revenue growth, Teague specialized in taking over PTC’s newly-acquired companies and building them into successful global businesses. Teague was instrumental in the $250 million acquisition of CoCreate Software GmbH in 2007 and became SVP and general manager of CoCreate, directing more than one hundred employees and $80 million in revenue.